I have only been into the House of Bruar shop a few times and have always kinda liked it. My wife has always wanted to stop and shop when we have been heading North so she can look at the clothes. I get to skulk off to the fishing section to have a waggle of the rods. She ends up buying presents for people and I as usual am not allowed to buy anything. So when I was contacted to review something from the shop I decided on the thing that would possibly get me into the most trouble – a bottle of single malt whisky. And also some rather fine sounding marmalade. Now there is actually a slight issue with this as quite frankly I am a total amateur when it comes to whisky. My experience so far involves asking for a whisky in bars and accepting any old thing they give me, being at a pals house and being offered “the good stuff” attending the Kelvin opening ceremony and drinking stuff that the secretary brings and of course the stuff that my fishing buddy Alex gives me which is usually excellent. When it comes to marmalade however I am totally the man! So the pressure was on! 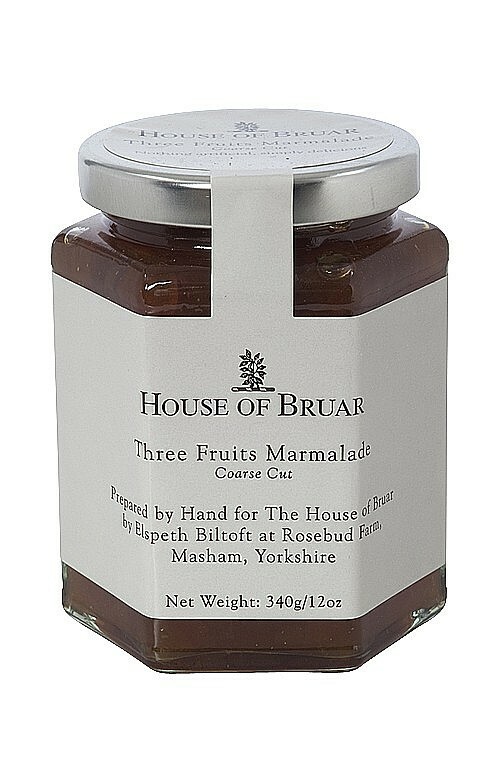 The House of Bruar Premium 3 Fruits Marmalade is produced by a team of skilled artisan producers, who do not use any flavourings or perservatives. Our jam is packed with the most exciting citrus fruits, lemon, orange & grapefruit. It is made without pectin unlike 99% of all other preserves on the market today making it a brilliant all year round Marmalade packed with fresh zesty fruit. 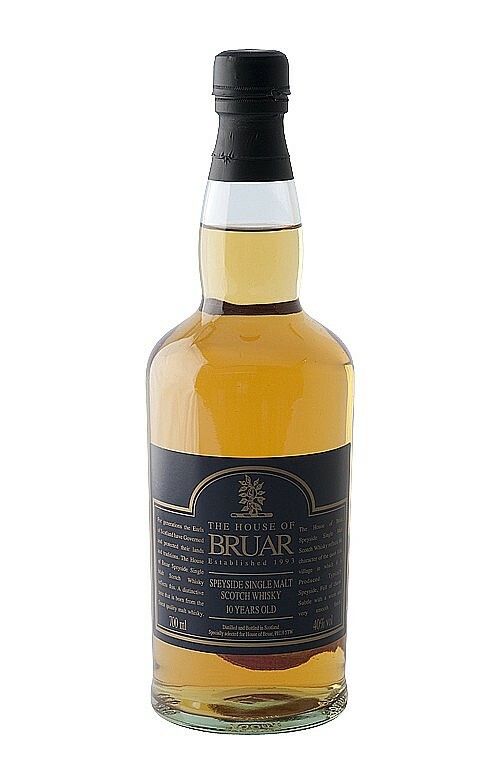 The House of Bruar 10 Year Old Speyside Single Malt Whisky is a firm favorite with our chairman. Being produced a few miles north of our location , The Whisky itself is typically elegant with a subtle smoky taste, with a warm and smooth finish. A must have for any hip flask when out on the hill. What did this Vice Chairman think? When I spoke to Alex about it he told me it will be another whisky that they have re-branded and he could probably tell me what it is if I let him taste it however due to new drink driving laws and the fact that I did not want to take a bottle of whisky along to the Glasgow Angling Center open day I would have to take his word for it. I opened it and found a rather nice cork keeping the liquid in. I poured a good measure and then took a few sips. A smoky taste? I think so! A warm and smooth finish? Left a bit of a burn to be honest but so does most whisky! I poured another measure and stuck on some toast for the marmalade. As I was waiting I finished off the first “nip” and poured another, in for a penny in for a pound n’ all that. I poured another glass as I spread a generous amount of marmalade on my toast. That is the best goddamn marmalade I have ever tasted. I topped up my glass and stuck on another bit of toast, this time making sure to get the delicious marmalade right to the edge. I thought it would be interesting to alternate a few sips of the whisky with the marmalade. It was probably around this point that my heavily pregnant wife walked in to find that I had drank a quarter of the bottle of whisky and eaten half a jar of marmalade. I will be quite happy with this fine drink in my hip flask toasting the chairman of House of Bruar. Meanwhile I am on toast and marmalade duties for my wife as punishment as she refused to believe that a fishing website should review whisky! I think the next distillery north of there is Dalwhinnie so that would be my guess, although their main product is a 15 year old. Never heard of marmalade being an accompaniment to whisky. You might be onto something there! Oh I think whisky and fishing comlpliment each other beautifully. I like the odd dram in particular one of the smokey varities especially after a full day fishing out on a highland lochan then relaxing in a traditional pub or hotel preferably with a log fire. One experiences a feeling of wellbeing sitting in a big comfy chair with a glass in one hand and my mind reflecting on a successful day on the hills and lochans.